If you search the web for information on garlic you’re going to find a wide range of conflicting information. Some of the information will tell you this herb is effective for a variety of health challenges. 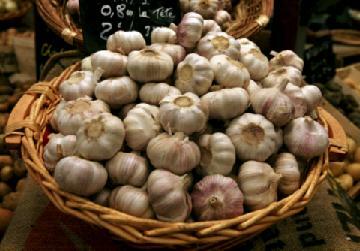 Other articles will tell you that the benefits of garlic are as mythical as its ability to protect you from vampires. This article will give you a fair and balance perspective so that you can make an intelligent choice on whether to include this herb as part of your herbal health plan. Garlic belongs to the Allium family of vegetables which also includes onions, chives, shallots and leeks. It is a perennial herb with a bulb that can contain 5 – 15 cloves. While it has been used for centuries as a culinary and medicinal herb, it wasn’t until 1844 that a German chemist named Theodor Wertheim was able to distill the pungent substance in this herb. He called it allyl. In 1848 Louis Pasteur demonstrated that allyl could inhibit the growth of bacteria. For whatever reasons, Louis Pasteur and others abandoned further research on this herb and its ability to inhibit bacterial growth. In 1948, two researchers at Sandoz Company in Basel, Switzerland clearly demonstrated that the offensive smell of this herb does not occur until the bulb is crushed to produce the chemical allicin. Allicin is responsible for the pungent odor. Instead of developing an effective delivery system for allicin, the Sandoz board of directors abandoned the project because they felt nobody would use allicin to treat infections because of its offensive odor. Allicin is a sulfur compound that is produced when the bulb is chopped, chewed, or bruised. As history has shown, allicin is a powerful antibiotic. It is estimated that 1 milligram of alllicin has the potency of 15 standard units of penicillin. A fresh crushed clove can provide anywhere from 4-12 milligrams of allicin. Although I couldn’t find any specific research on wound healing, it would be interesting to see how freshly crushed garlic would be in preventing wound infection and facilitating wound healing. Cholesterol – Some studies using garlic supplements have shown a 10% reduction in overall cholesterol over the short term of three months or less. In 2003, Brigham Young University reviewed 10 studies and found that 6 of the studies that used this supplement modestly lowered total and LDL (bad) cholesterol. To counterbalance this, Gil Ramirez of the San Antonio Evidence-Based Practice Center at the University of Texas reviewed 1,800 studies that examined the potential health benefits of this herb. While most of the short term studies supported the above information, most of the long term studies of six months or longer didn’t. Garlic supplements were no more effective in lowering cholesterol than look-alike placebos. Cancer – Population studies seem to suggest that people who eat lots of this herb and other allium vegetables have a lower risk for stomach, prostrate, and colon cancer. However, this lower risk for cancer could have more to do with food and lifestyle choices than their garlic intake. It has recently been shown by the National Cancer Research Center that 90 to 95 percent of all cancers are lifestyle, environmental or food related. A recent seven-year, controlled clinical study done in China and published in the Journal of the National Cancer Institute showed that herbal supplementation did not reduce the risk for stomach cancer. To add to the confusion, animal studies show that when this herb is digested and absorbed, it breaks down into scores of different compounds. Some of these compounds appear to prevent breast, colon, and other tumors. When 121,000 middle-aged Netherlands who took garlic supplements were studied over a three year period, they were just as likely to get breast, colorectal, stomach or lung cancer as those who didn’t take the herbal supplement. Cardiovascular Health – This herb has long been touted for its benefits to the cardiovascular system, especially in preventing heart attacks and stroke. It helps to reduce platelet stickiness or aggregation which reduces blood clotting or coagulation. Since most heart attacks and strokes occur when a blood clot gets stuck in a partially clogged artery, this ability to reduce blood clots could be beneficial. High Blood Pressure – Three of 17 studies done in this area showed a two to seven percent decline in blood pressure. The other 14 studies found no significant benefit from this herb. In a 1994 analysis of eight clinical trials totaling 415 patients, herbal supplementation achieved a modest but significant reduction in both systolic and diastolic blood pressure. Other Health Benefits – This herb helps to prevent and clear bacterial infections, may have antiviral properties, can lower fever by inducing perspiration, can act as an expectorant, and can help to detoxify the body. Because of the antibacterial and antiviral properties of allicin, this herb is used to prevent infection and to treat colds, bronchitis and flu. There is some literature that discusses its external use for fungal infections. Some people will use this herb as an essential oil or in aromatherapy. Because of its overpowering and pungent smell it should be used with caution for those with acute lung or digestive problems. In everything I read about this herb the controversy about its effectiveness in providing health benefits all centered on the products ability to effectively deliver allicin into a person’s system. When a bulb in crushed, chopped or bruised, the enzyme alliinase is released which then acts to convert the chemical alliin to allicin. This seems simple enough until you factor in cooking and a person’s stomach acid. The key to the production of allicin is the enzyme alliinase. This enzyme is destroyed by high temperatures as in cooking. Once swallowed, your stomach acid will also destroy this enzyme to limit the amount of allicin produced. To get around this problem, supplement companies will package the herbal powder in an enteric-coated pill to protect it from the stomach acid. This presents two problems. The first problem is that many garlic supplements vary widely in their chemical composition and the amount of allicin they can potentially release. The second problem is that when tablets are tested under gastrointestinal conditions, over 80% of these supplements fail to release more than 10% of the allicin listed on their labels. In the independent literature I used for research on this herb, there was only one brand that yielded a substantial amount of allicin. That product was Nature’s Way Garlicin, an odor-free garlic supplement. According to their documented information, Nature’s Way tests their supplement under the US Pharmacopeia test method 724A which simulates normal gastrointestinal conditions. Their enteric-coating provides 100% protection from stomach acid for up to two hours. Once in the small intestinal tract which is typically alkaline, their tablet completely disintegrates in about 45 minutes releasing the allinase enzyme to actively convert alliin to allicin. They guarantee 100% release of the amount of allicin listed on their product label. Garlic supplements are a multi-million dollar part of the supplement industry. More than $150 million is spent in the United States alone on this type of health supplement. The literature review shows mixed results mainly due to the delivery system of allicin into a person’s body. But, once allicin is effectively in a person’s system, it does seem to provide some very effective health benefits especially those related to antibacterial and antiviral problems. If you like the taste of this herb and don’t mind the social after effects of garlic breath and body odor, then continue to make this herb a part of your culinary appetite. If you don’t want to smell like a crushed garlic bulb, then I would suggest a highly effective supplement like Nature’s Way Garlicin. Whichever supplement company you choose to use, make sure they can provide documented testing results using the US Pharmacopeia test method 724A which simulates normal gastrointestinal conditions! This is the key to knowing how much allicin is being made available to your system in the small intestines. If the product can’t deliver between 3600 – 5400 mcg of allicin within one or two tablets, then you are just wasting your money. Until next time, may we both age youthfully. Herbal Health Care Tips and Precautions! Rosemary Can Protect Your Brain From Aging! Ginkgo Biloba for Improved Memory!